in the archipelago is La Isla Grande. 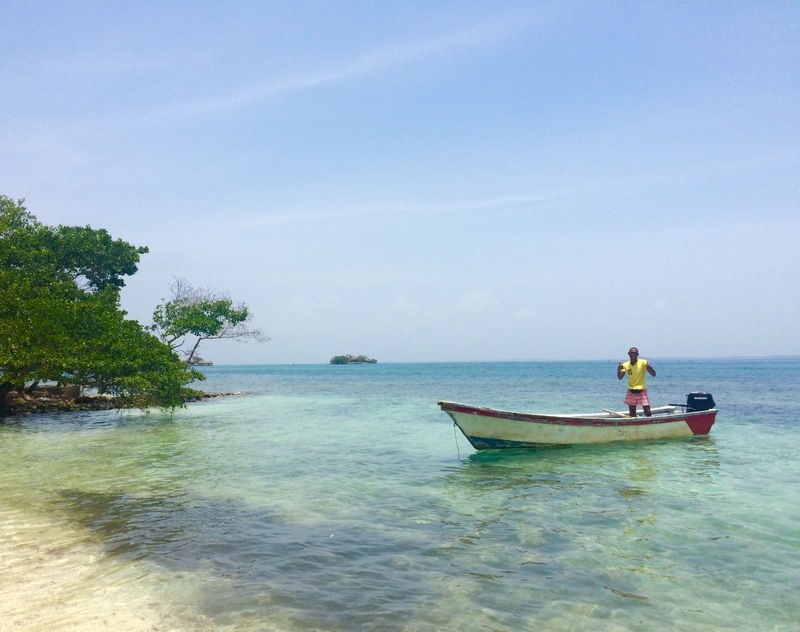 You can take any boat (una lancha) out to the cluster of islands from Cartagena- but then find a local guide on La Isla Grande. A speedboat can efficiently take you around the perimeter to get a close up view of the now empty and insanely vast vacation / party complex of drug lord Pablo Escobar. Our guide, Marcelo, also took us to a nearby reef to snorkel 😎 with some really colorful fish. This area was founded as a National Park in the late 1980’s to protect the beautiful coral reefs of this region. This area offers some of the best snorkeling in the caribbean sea. After a long day in the sun here, return to colorful Cartagena for dinner in the walled city.